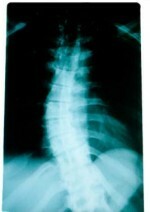 We all have curves in our spines when examined from the side view, but the normal spine looks straight from the back. Certain people have, in their spines, abnormal lateral curves called a scoliosis. These may take the form of a double curve in an S shape or a single curve as a C shape. About 3% of the population suffer from a scoliosis, many of which never give any problem; many others, however, the curve can worsen over time and can also cause pain, irritation and limit normal activities. For most scoliosis the cause is idiopathic (unknown), but some are present because the patient’s one leg is anatomically shorter than the other leg. Statistics show that scoliosis begins in early childhood, but many are not diagnosed until adolescence or even later. They tend to be inherited and are more common among girls than boys; clinical research indicates that girls are 8 times more likely to suffer from a scoliosis than boys. The symptoms from a scoliosis are likely to worsen over time, especially if left without check ups and treatment. Curves are not always visible without radiographs, but other clinical signs such as, for example a shoulder blade or a hip which sticks out more than the other, or the body may seem to lean to one side. Symptoms may include the following: neck, thoracic or low back pain, postural weakness, (either seated or standing), and in extreme cases circulatory and breathing difficulty. 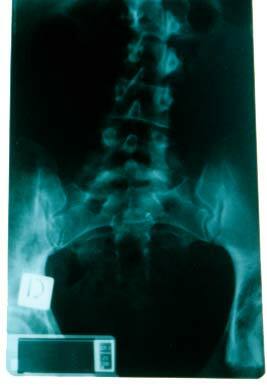 A qualified chiropractor can identify, analyze, follow and treat this problem of the spine. If a scoliosis is diagnosed during the first visit, we have a range of suitable treatments to help the patient. These include vertebral adjustments to increase mobility and function at all spinal levels, trigger point therapy for tight muscle groups, postural advice and exercises to prevent future degeneration of the scoliosis. All parents are warmly invited to have their children’s spines checked up in order to avoid a late diagnosis, give the necessary treatment and thus avoid worse problems in the future. In our clinic we may also suggest a course of GPR (Global Postural Re-education) which, combined with regular chiropractic check ups, is an excellent way to maintain the spine healthy and problem free. Children with scoliosis should be checked twice yearly, (depending on the severity of the curve) until fully grown. Yearly radiographs of the child’s spine, in the standing position, may be needed to follow the progression of the curve. Although we can’t guarantee that the treatment will straighten the spine (especially in some severe cases) we help patients with scoliosis lead a flexible and active lifestyle.